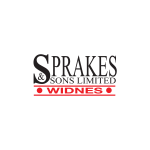 The YKK-sponsored Widnes Wild suffered their first defeat of the new Laidler Division season, losing a battling encounter 2-0 away to the Telford Tigers on Saturday. The Wild team had long periods of possession and out-shot the home team by a considerable margin but were unable to convert any of that pressure into goals on the night. 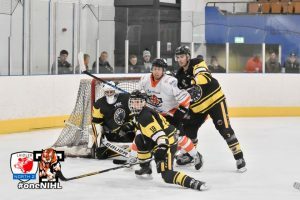 The first two periods were both (unusually for ice hockey) goal-less and the first goal of the game didn’t come until the 45th minute when the Tigers finally made the breakthrough – somewhat against the run of play. The Wild set siege to the Telford goal during the closing stages – out-shooting their hosts by 16 to 5 over the period – but they got caught out while pushing forward for the equaliser with a powerplay goal with just 3 minutes left to play. The Tigers defence held strong and the clock ticked down to a disappointing 2-0 defeat for the Widnes team. Following the other weekend results – which, incidentally, saw league leaders Bradford Bulldogs lose at home to Sheffield Senators, the Wild find themselves as one of three teams all locked together on 6 points, 3 points off top spot.